Traditional Klezmer songs in this collection include Mazel Tov, Oyfn Veg Shteyt a Boym, Klezmeron, and L’Chaim. In total, there are thirteen duets, all of which engage both flutists equally. They would prove somewhat technically challenging – and quite rhythmically challenging—for advanced high school or early college students, but they are also entirely enjoyable to play as a professional. Harmonies are generally tight, with a lot of the parts written in 3rds and 4ths to each other, and the overall range of the book spans from C1 to G3. Everything lays well under the fingers and has been intelligently arranged for two C flutes. This album includes arrangements of Ravel’s Suite Ma Mère l’Oye and Daphnis et Chloé Suite, and Debussy’s “Children’s Corner”: Golliwogg’s Cakewalk and The Little Shepherd. Instrumentation varies by piece, but overall the album calls for 1-2 piccolos doubling flute, two addition C flutes, an alto flute, and up to two possible bass flutes (both of which can also be played on C flute). Designations in the score advise on how to condense each piece into a convincing quartet if a minimum of six people are not available to play every part. There is no simplification of parts in these arrangements (even the opening material of Daphnis includes all those traded 32nd notes from the original! ), so all players must be musically as well as technically mature to really do the album justice. Voicing is intelligently arranged on every piece, and the result is sheer beauty in color and depth, regardless of ensemble size. We have had great fun working on these arrangements in my college flute ensemble, and I greatly appreciate the wonderful musical exercise they represent for my students, in addition to the artistic merit of each as a concert piece. I cannot recommend this collection highly enough. In Waltz of the Wolves, Wil Offermans has written a clever and humorous duet appropriate for advanced students looking to begin exploring the world of extended techniques. Timbral trills and a “howl” (in which the performer covers the embouchure hole with the mouth and howls into the headjoint) imitate wintry winds and the wolves outside, respectively, and are easy to execute. 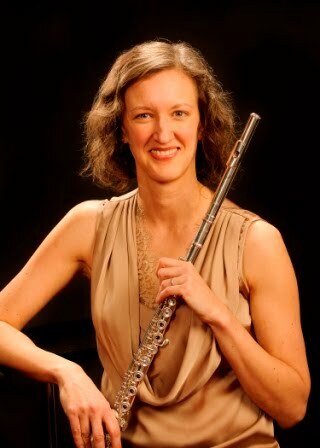 This piece was commissioned by the Netherlands Flute Academy for its founding faculty, Suzanne Wolff and Emily Benyon. Parts are evenly traded so that both flutists play everything that has been written, from the slinky waltz melody at the top of the staff to the “oompah” part written into the low register. The range spans from low C to third octave A. There is some very manageable mixed meter (6/8 to 4/4, maintaining the eighth note) and one tempo change in the middle. Offermans employs good tone painting in both his melodic writing and his use of minimal extended techniques, and the howling sound is sure to get a chuckle out of an audience. A sight-readable treat for a professional recital or a fun challenge for a pre-college student, I find Waltz of the Wolves utterly charming and highly recommend it as an addition to your libraries.